Just when it seems the world is suffering a surfeit of doom and gloom stories, along comes a story big-hearted enough to illuminate the entire universe. Along comes Project EBC and four fabulous people – Mike Lowden, Bette Chen, Tina Morrell and Fergus Flannery. 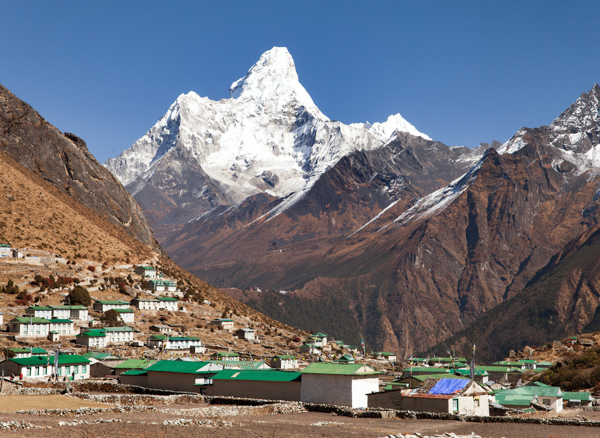 Project EBC (Everest Base Camp) was born from the coming together of like-minded individuals whose passion and vision for Everest initiated a two-fold mission: to trek to Everest Base Camp (at an elevation of 5,364 metres) and to help a family from Khumjung Village rebuild their earthquake-damaged home. The home belongs to Tshering Thundu (Sandu), his wife, Tangii, and their four children. The 7.8 magnitude earthquake of April 25, 2015 wrought such havoc that Sandu – a porter and guide for more than 15 years who has summited Everest five times – and his family have had to camp under canvas ever since; not pleasant when winter temperatures can plummet to minus 15. “If anybody can understand the hardships this family has endured, it’s Cantabrians,” Tina says. The cost for the materials and freight for the repair of the family home exceed NZD $20,000. Funds raised in excess of building and repair costs will aid in the children’s schooling and any surplus to support the Project EBC team, which will be working on-site in Khumjung for two days alongside local Nepalese tradesmen. This is ‘trekking with a mission’. With a goal of raising $25,000, Project EBC ran the 2017 Mount Cook Marathon as a team and raised $1,800+; they completed the 2017 CBD Stampede Obstacle Course, and on February 17 hosted a fundraiser gala dinner which raised more than $7,000.